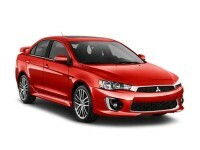 The Lancer, the Lancer Evolution, the Outlander, the Outlander Sport, the I-MiEV, and the Mirage. 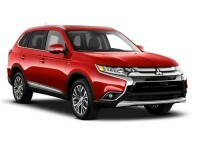 We have every new model Mitsubishi made. And we can say the same for Acura, Audi, BMW, Buick, Cadillac, Chevrolet, Chrysler, Dodge, Ford, GMC, Honda, Hyundai, Infiniti, Jaguar, Jeep, Kia, Land Rover, Lexus, Lincoln, Maserati, Mazda, Mercedes-Benz, MINI, Nissan, Porsche, Ram, Subaru, Smart, Toyota, Volkswagen, and Volvo, too. Any new model made by any of these great manufacturers can be yours if you lease with Fort Lauderdale Car Leasing. Our inventory is simply unmatched! Our prices are unmatched, too. They’re the lowest around, plain and simple. We keep our prices so low by keeping a very close watch on our operating expenses, cutting down on them wherever possible. One way we do this is by not having a physical car lot. Instead, we opt for a virtual one, a car lot that you can find on the internet. The money this saves us in operating expenses is quite a sum! Consider the property costs, property taxes, property insurance, utility costs, and all the other expenses having a physical lot entails! What we save in overhead, you save in leasing prices. Having a virtual lot also means that our customers get to do all their car shopping from their own homes. Talk about convenience! You won’t have to bum rides or call cabs so you can get to some car lot somewhere, only to be followed around by some salesman who’ll talk your ear off, rush you along, pressure you, and consider his commission more than he considers your needs. Instead, you just relax at home, surf to our website, and explore our virtual lot from your EZ chair, any time of the day or night, taking all the time you need. If you have any questions as you’re comparing vehicle models, all you have to do is call us up to get the answers you need. Easy! 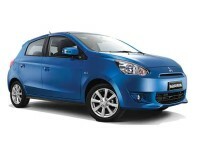 After you’ve found that perfect vehicle, the time will come to think about financing. Yeah, we know that financing is the least pleasant part of leasing, but we go out of our way to make it as easy on you as we can. We’ll even handle most of the paperwork involved so you won’t have to! We’ll work with banks and other lenders ourselves, directly, to get you a deal with low interest rates, low monthly payments, and great terms that you’ll find fair and reasonable. If you’re someone whose credit rating isn’t so great, please don’t give up! We’ve often succeeded when other leasing agencies have failed! We’ve gotten financing before for people whose credit ratings left a lot to be desired – even people who’d already tried to get financing through some of our competitors but had no luck. So talk to us and don’t think your situation is impossible! Keeping things easy on you is one of the main goals of the way we handle customer service. We really want you to be happy with how we treat you so you’ll always consider us to be your leasing agency, one you’ll return to again and again and tell your family and friends about. Even on the day get to take possession of your new lease, making things easy on you is on our mind. To that end, we won’t let you worry about how you’ll arrange to pick up your new vehicle. Instead, we’ll bring it right to your home, office, best friend’s place, or most anywhere else you name! Your wish is our command! If you have any questions for us, or if you’ve already found that perfect vehicle and are all ready to lease today, give us a call at 754-702-2323 and let’s talk! We look forward to making your acquaintance!